THE CARD GAME OF THE GODS! Krosmaga is an online trading card game in which you play a god and face other players in short, fun-filled games that'll surprise you at every turn! ... AND UNLEASH YOUR POWERS ON THE BATTLEFIELD! And rise to the top of the pantheon! You hold all the aces to become THE master of Ingloriom! Use prebuilt decks or make your own: choose your strategy! 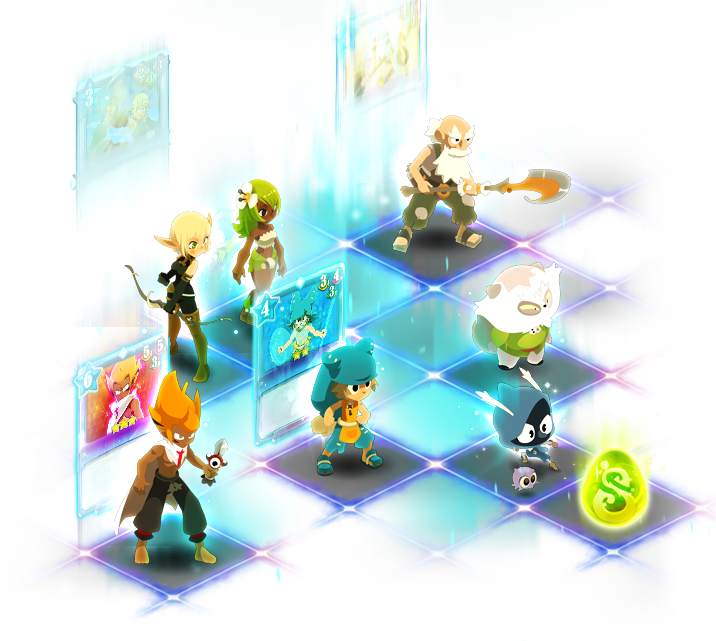 FIND ALL THE HEROES FROM DOFUS AND WAKFU... ...AND MAKE THEM FIGHT ONE ANOTHER! The Dofus Era, the Wakfu Era, Bonta, Brakmar, or even Frigost: the warriors and creatures you summon and wield come from the four corners of the Krosmoz, and from all periods of time! Take control of the heroes from the games DOFUS and WAKFU, as well as from the mangas, animated series, and even the film DOFUS - Book I: Julith!